A must see for any visitor to Tulum. A cenote (pronounced seh-no-tay) is a naturally occurring sinkhole caused by the collapse of the surrounding limestone. When this phenomenon happens, it exposes groundwater, creating a natural pool. Cenotes are perfect for swimming and snorkeling, with clear salt-free water. There are three types of cenotes; open air cenotes, completely covered cenotes (caves), and the last cenote is a mixture of the two. The third type of cenote is the best because you get to get the best of both worlds. 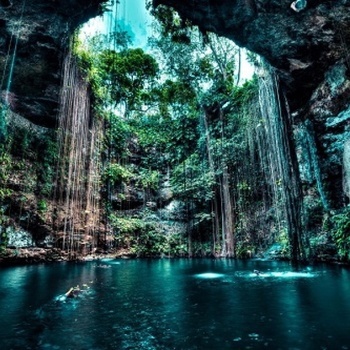 In Tulum, Some of the most popular Cenotes are Dos Ojos (Two Eyes), Cenote Calavera (Skull), and Gran Cenote. There are many more options though in the area, so please do your research and embrace the best of what Mother Nature has to offer here. If interested in setting up day tours let us know and we can put you in touch with the right tours at the right price via our wedding planner. 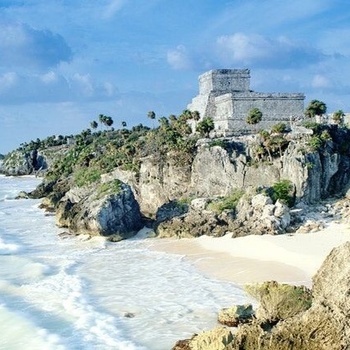 Travel back in time during a day trip to the mysterious Mayan Ruins of Tulum. . The Ruins are right on the coast, just a couple miles from the Tulum Beach hotel zone. It's a $5-$7 taxi ride or if you're feeling adventurous take a bicycle. The Tulum Ruins are a well-preserved archeological site situated just north of the town of Tulum. They are unique in that they are only Mayan ruins site that is located along the oceanfront, and the El Castillo pyramid sits atop a rocky cliff overlooking the turquoise waters of the Gulf of Mexico. The ruins site is compact and easy to explore independently in only an hour or so. Although they are very popular with organized tour groups, they are still worth a visit for independent travelers as well and the various structures as well as large iguanas everywhere make for some fantastic photo opportunities. There is also a small and beautiful beach at the ruins, so remember to pack your bathing suit if you plan on taking some time to swim there - Surf’s Up! 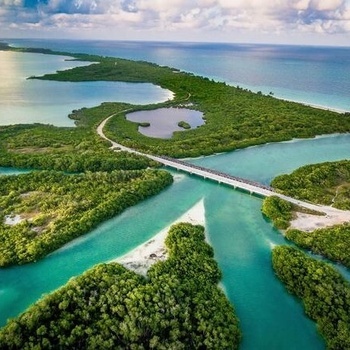 Sian Ka’an is a biosphere reserve filled with thousands of plants and animals. There is at least one full day here, many beautiful beaches, the bridge, good snorkeling, Punta Allen and the lagoon. We recommend you take a guided tour, so as not to miss anything in the UNESCO World Heritage Site preserve. Eat ! Eat ! Eat ! 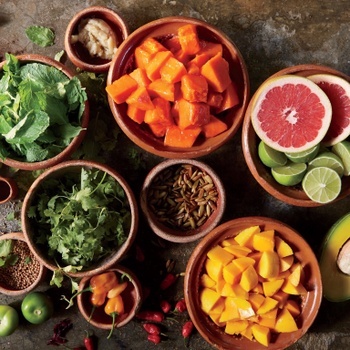 There is an endless list of delicious food options everywhere you go in Tulum. “You can’t go wrong!” Yet here’s a quick list of variety of options. Buen provecho! * Hartwood - (Organic & Sustainable): With a deserved reputation as one of the best in town, make sure you book early. The food has an interesting blend of Mexican and American dishes, while the cocktails made with local fruit juices are unforgettable. * Gitano - Mezcal Bar & Kitchen): The ambiance in this attractive restaurant is great at night when the candles light up the tables. The food is well presented and fresh, and the addition of a mezcal bar means you can spend the whole evening there. * Casa Jaguar: With a distinctive jungle decor that is very different to most restaurants you encounter, this is a special experience that has a wonderful emphasis on the “catch of the day” and local ingredient which make up the heart of the menu. * Casa Banana - (Craft Argentinian): As you would expect from an Argentine restaurant, the steak here is very good, while the local seafood options are also worth trying. * Wild: Deep in the jungle and under the stars, at the edge of the Sian Ka’an UNESCO World Heritage biosphere reserve, this new addition is a large-scale restaurant featuring a Middle East-meets-Mediterranean menu that uses sustainably sourced ingredients from the Yucatán and Caribbean. * Mateos (Famous Fish Tacos): The bright and open-air layout of this bar and restaurant make for a wonderful welcome. Fish tacos are a highlight of the cuisine of the Mexican coast and is the best place for fish tacos in Tulum. * Posada Margherita - (Incredible Italian): Situated in a nice location overlooking the beach, this is a great place for Italian food with pasta and fresh fish combined with a good wine list and a selection of cocktails. * La Coqueta (Authentic & Inexpensive): You know you’re on to a good place when the locals dine there, and here you will find generous portions of authentic and tasty Mexican dishes for a good price. You’ll also often find live music in the evenings. * Antojitos La Chiapaneca (really good tacos): small quaint place to get tacos and tortas. * & the list goes on... there’s much to discover. Salud!